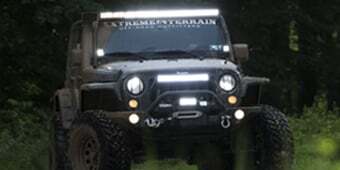 Please select options for Raxiom Headlights w/ LED Halos (07-18 Jeep Wrangler JK) at the top of this page. Performance Lighting. 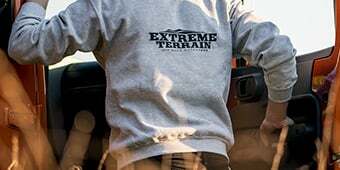 If your Wrangler's stock headlights are cracked, damaged, or yellowing replace them with a brand new set of Raxiom 7-inch Round Halogen Headlights. Designed to be a direct replacement for your factory headlamps, these DOT compliant, Headlights will light up the darkest trails and dimmest highways to ensure that the path ahead is safely lit. These Raxiom Headlights also feature Daytime Running Light (DRL) halo accents that add a cool custom appearance to your Wrangler, while improving your visibility to other drivers. LED Halo Lighting. These Raxiom Headlights employee premium, high output LEDs for use in the daytime running light accent halos. These stylish LED halo accents will ensure that you are visible day or night by distracted drivers. Durable Construction. Designed to perform in the harshest of elements, these Raxiom Headlights feature a rugged plastic housing with a tough as nails hard coated clear polycarbonate lens. 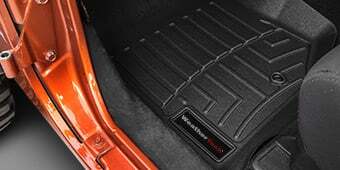 Each Headlight is weather sealed to prevent moisture from harming the state of the art electronics found inside. These Raxiom LED Headlights can take just about anything the trail and mother nature can throw at them. Easy Installation. Raxiom designed their 7-inch Round Halogen Headlights to be a direct plug and play replacement for your Wrangler's original factory lights. Installation can be completed in under 30 minutes. It should be noted that the accent halo portion of the headlight will require splicing into your Jeeps running lights for operation. DOT and SAE Compliant. These Raxiom 7-inch Round Halogen Headlights will not only bring a fresh new look to your Wrangler, but they also meet or exceed the strict guidelines set forth by the U.S. Department of Transportation (DOT) and the Society of Automotive Engineers (SAE), making them legal for street use. These Raxiom Lights also feature a dust and waterproof rating of IP 67, which makes them perfect for use on the muddiest of trails. Application. These Raxiom 7-inch Round Halogen Headlights with Daytime Running Light Halo Accents are designed to fit 2007-2018 Jeep Wrangler JK models. Driver and passenger side lights are included. How many hours will the halos work for before failure? Raxiom does not supply a hard time frame here. 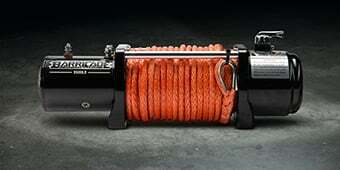 Being as they are LED, they should last as long as any LED product does, however I do know that Raxiom holds a two year warranty for what that's worth. do the halo accents have the ability to change colors? Hey I just finished installing these but my front right turn signal isn't working anymore. How can i fix this? Unfortunately we have no way of knowing what caused your turn signal to stop working. We recommend checking over the wiring to ensure no wires were damaged, pinched, or disconnected. Are the halos lit when low beams are on? The Halos would be on when the low beams are on yes. 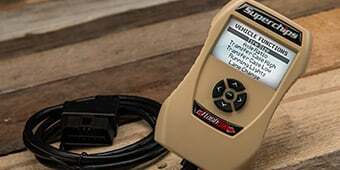 Do these lights have high and low beam and what is the output. The Raxiom Headlights with LED Halos will retain the factory low and high beam functionality and use a stock style halogen bulb. The Raxiom Headlights should have no issues with extreme cold. 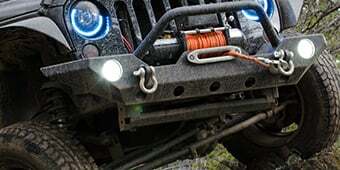 These lights will install the same way in your Jeep, but you will need to wire the Halos to your parking lights or to an ignition circuit to make them come on. 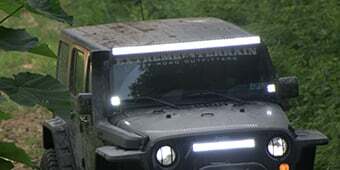 These lights do not require the use of an anti-flicker device on most model Jeeps. These aren't exactly designed to incorporate the turn signals, however with the right wiring and splicing the halos could indeed be incorporated. I did a lot of research and finally settled on these. I didn't want LED because I periodically drive in the snow and cannot afford the expensive heated lenses. I believe that they are better than stock but I did buy brighter bulbs. I didn't try the bulbs that came with the lights so I can,t comment on the brightness of the bulb that came with the lights. They were very easy to install, took me maybe 30 min. I was hoping the halos were just a little brighter but they do look great. Overall very satisfied, I just hope they stand the test of time. Great looks, much improved lighting over stock. Simple install. These look great and are a huge improvement over the stock halogen headlights. Installation was easy, taking about two hours, including removal of the old lights and splicing wires (the splicing is simple). The headlights were a simple plug-in installation and work great. One thing worth noting. The wiring instructions for the turn signal feature aren't the most helpful. They (the light's yellow wires) need to be spliced into the existing turn signal wires (that's in the installation video here), but the trailing yellow wire from the blinker function needs to be left disconnected. Took a lot of video watching and Jeep group chats to figure that out and the wiring map with the lights is zero help with that! If you are looking for true led’s these are NOT for you. The halo’s are the only thing that are true led’s. The headlights are plane old yellow stock like lights. They are no brighter than stock. Install was very easy. Just you tube it. I spliced the halos into the running lights and they work and look awesome. These headlights were a super easy installation. One you bolt em and and adjust them they are good to go. Super bright and the halos look great.